Parotid glands lie behind the cheek, just in front of the ear, and have ducts leading into the back of the mouth. They make as much as a quart of saliva daily in order to lubricate your mouth. Any number of diseases may affect your salivary glands, and when there is a problem with the parotid glands or ducts, you may have symptoms such as swelling. While some may go away over time, others require more serious treatments such as antibiotics or surgery. Why Do You Have Parotid Gland Swelling? Description: A common cause of swollen salivary glands is salivary stone. Occasionally, salivary stones may block the flow of saliva. When saliva can't drain through the ducts, it causes a backup in the gland, creating swelling and pain. Symptoms: A painful lump in the floor of the mouth and the pain often feels worse when eating. The pain may be intermittent, felt in one gland, and will progressively get worse. Description: Sialadenitis is a painful abscess in the gland that results with foul-tasting pus that drains into the mouth. It is more common in the elderly, but may also happen in infants in the first couple of weeks after birth. Symptoms: A painful and tender lump under the chin or in the cheek. If not treated, salivary gland infections usually cause high fevers, chills, general weakness, and severe pain. Description: Viral infections such as mumps, flu, Epstein-Barr virus (EBV), and the human immune-deficiency virus (HIV) may affect one or both salivary glands. However, bacterial infections usually cause only one gland to swell, and dehydration and/or malnutrition may raise the risk of getting a bacterial infection. Symptoms. Infections can cause parotid gland swelling on one or both sides of the face, and it may be difficult to fully open the mouth. Other symptoms could include poor appetite, malaise, fever, headache, muscle aches, and joint pain. Description: Cysts may develop in the parotid glands if infections, injuries, salivary stones, or tumors block the flow of saliva. Some infants are born with cysts in the parotid gland resulting from a problem with their ear development. It may appear as a soft raised area or a blister. Symptoms: Many cysts may cause a painless lump that sometimes will grow large enough to interfere with eating and speaking. Description: Several different types of tumors can affect the salivary glands. The two most common benign (noncancerous) tumors are pleomorphic adenomas and Warthin's tumor. Malignant (cancerous) tumors may include mucoepidermoid carcinoma, adenocystic carcinoma, or adenocarcinoma. Symptoms: The most common symptom is a slow growing lump in both benign and malignant salivary gland tumors. The lump might be located under the chin, the cheek, on the roof of the mouth, or the tongue, and can be painful. Description: Sjögren's syndrome is a chronic autoimmune disease in which the body’s immune system attacks the salivary glands. About 50% of people with Sjogren's syndrome also have swollen parotid gland on both sides of the cheeks, which is normally painless. Symptoms: Sjogren's syndrome causes parotid gland swelling, dry eyes, and a dry mouth. X-rays to detect and locate salivary gland stones. MRI (Magnetic Resonance Imaging) or CT scans. These tests can detect stones and tumors not seen on X-rays. Blood tests to look for bacterial infection, nutritional deficiencies, and viral infections. Sialography so that saliva flow can be seen, a dye is injected into the gland's duct. Salivary gland biopsy is the removal of a piece of tissue sample to diagnose a tumor, cyst, or Sjogren's syndrome. Fine-needle aspiration uses a thin needle to remove cells from the salivary gland to determine whether a tumor is cancerous. Eye tests to look for evidence of Sjogren's syndrome. Salivary function test to help diagnose Sjogren's syndrome. 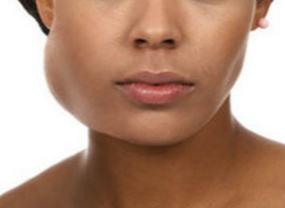 What Can You Do to Treat Parotid Gland Swelling? Non-surgical treatments sometimes involve antibiotics, drinking plenty of fluids, and eating lemon wedges or sour candy to encourage the flow of saliva. You can massage the gland, take pain relievers, or apply a warm compress to help alleviate the pain. If the stone doesn’t pass on its own, your dentist may be able to help dislodge it. Treatments often involve antibiotics and over-the-counter or prescription medicines for pain, discomfort, or fever as directed by your physician. You can also apply an ice compress for 15-20 minutes, every 2 hours to the salivary gland for 24 hours. Remember to place the ice in a plastic bag with a towel around it to prevent the skin from frostbite. However, surgery may be needed to drain the abscess. Viral infections tend to always go away on their own. Treatments that focus on relieving symptoms include plenty of rest, plenty of fluids to prevent dehydration, and taking acetaminophen to relieve pain and reduce fever. Bacterial infections require antibiotics and extra fluid either by mouth or intravenously. Warm compresses can be placed on the infected gland, while chewing lemon wedges or sour candies will encourage the flow of saliva. Small cysts usually drain on their own. However, larger cysts can be removed using either laser, or traditional surgery. Benign tumors, and smaller, low grade, and early stage malignant tumors are removed surgically, and radiation treatment may be necessary to prevent any future tumors from returning. However, inoperable malignant tumors are treated with chemotherapy and radiation. Practice good oral hygiene and avoid any medications that can make dry mouth worse, while taking prescription medication to stimulate more saliva secretion as directed by your physician. Do not smoke, and chew sugarless gum and sour candy to stimulate saliva production.